Transconjunctival blepharoplasty is a technique that improves the appearance of the lower eyelids. It is can be more effective for suitable patients looking to enhance their eyelid contour. Our eyes are the first place the world looks to interpret our emotional state. Eye contact is the first step in nearly all human interaction and forms the basis of trust. Clearly, your eyes are an important part of the way you and the rest of the world interact. Unfortunately, your eyes are often the first to succumb to the changes brought on by age. One of the most common complaints associated with aging is the development of puffy eyes or bags under the eyes, a concern that can be corrected with blepharoplasty. 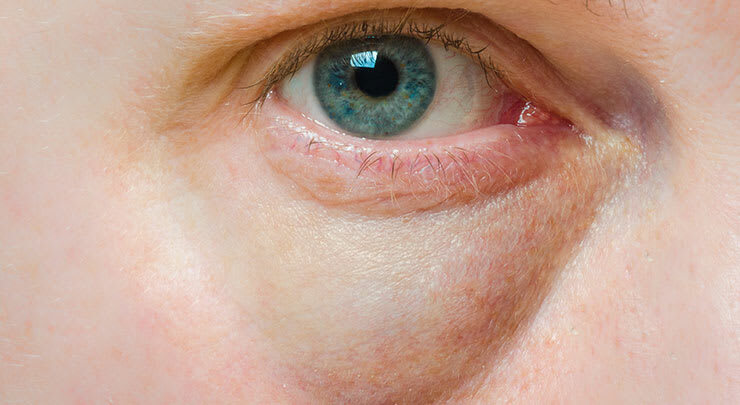 There are a number of differing techniques and styles related to blepharoplasty, however when it comes to repairing or improving the lower eyelid, the transconjunctival approach has gained popularity because it does not leave visible scars and has a low complication rate. Lower blepharoplasty, targeting the lower eyelids only, can be performed in two ways: an external (transcutaneous) incision, or an internal (transconjunctival) incision. The transconjunctival incision uses an incision inside the lower eyelid. This hides any scars from observers, and results in a more natural look. Portions of the fat pad below the eye that are responsible for the puffy appearance are then removed through this hidden cut. You should be able to return to work and most of your regular activities, including light exercise, in as little as 7 to 10 days. While age is the biggest culprit behind the appearance of baggy eyes, in some people it is simply caused by genetics. This means some people may be eligible for lower eyelid blepharoplasty as early as their teen years. Regardless of whether it is age or genetics, puffy and baggy eyes are caused when the naturally occurring fat pockets around and below your eye begin to push forward creating a bulge. This called herniated fat, or a fat prolapse. 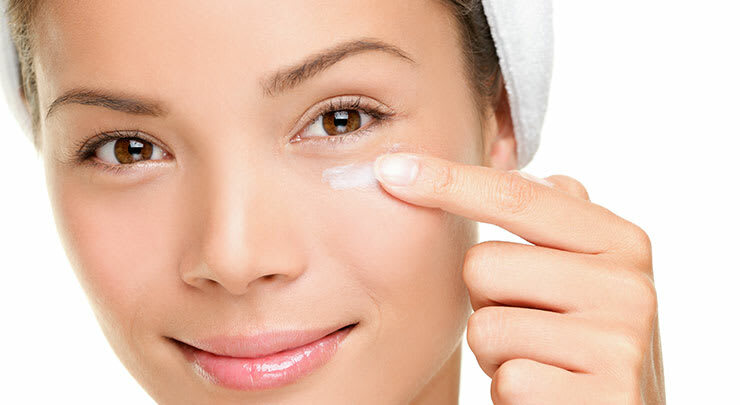 Before turning to cosmetic surgery many people try to treat their under eye circles or bags with creams and ointments. Unfortunately, creams do not reach the herniated fat or fat prolapses below the skin. Therefore, these topical methods generally don't work very well. For now, surgery remains the most effective treatment. Blepharoplasty is an excellent procedure for enhancing your appearance, as well as your self-esteem. Before deciding on surgery it is important that you consider your expectations carefully and discuss them and any other concerns you may have with us before proceeding. Most good candidates are at least 35 years old, but if your droopy or baggy eyelids are a result of genetics you may decide to have the procedure done at an earlier age. Another thing to consider is if you have any pre-exisiting medical conditions; certain health concerns can make blepharoplasty more risky. Thyroid problems, such as hypothyroidism and Graves' disease, carry a risk. Dry eye or tear production issues can also cause complications, as well as circulatory disorders like high blood pressure, cardiovascular disease, and diabetes. Glaucoma or a detached retina are also causes for concern and caution. We are happy to discuss any concerns you may have about a pre-existing condition. How is transconjunctival blepharoplasty done? Once anesthesia is administered, a small incision of about 1-1.5 cm in length is made on the inside of the eyelid. Just the right amount of fat for a smooth eyelid outer contour is removed. What remains may be sculpted and repositioned depending on your needs. Thanks to the location and nature of the incisions, the cut edges contact each other without the need for stitches, and usually heal by the following day. This fast healing time means you will be able to use makeup and other cosmetics sooner than other techniques. In some cases bruising may appear, but heals within a few days. Complications and risks associated with transconjunctival blepharoplasty are rare and minor. However, as with any surgery there is always the small possibility of complications, including infection or a negative reaction to the anesthetic. The best way to reduce these risks is to follow your pre- and post-surgery instructions closely. The most common complication with this type of eyelid surgery is double or blurred vision, and temporary swelling, usually at the corners of the eyelids. Both these complications are familiar and usually pass in a matter of days. What are the benefits of transconjunctival blepharoplasty? Transconjunctival blepharoplasty is an ideal way to approach those unsightly bags below your eyes. This innovative procedure is relatively quick with a speedy recovery time, and no visible scarring. The results are more aesthetically pleasing than topical creams or ointments and last much longer, up to a lifetime in most patients. If you have any additional questions or concerns please do not hesitate to contact our offices for a consultation.